Anxiety is in the news a lot these days, and it seems more and more kids struggle with anxiety. The reality is that most kids (and adults!) suffer fear and anxiety from time to time. What are the different types of anxiety, how do we recognize the symptoms, and what do we do when things change from occasional fear or anxiety into an anxiety disorder? Most of the following fears are common to most children. Many children outgrow them as they learn to cope with new situations and as their emotional development increases. 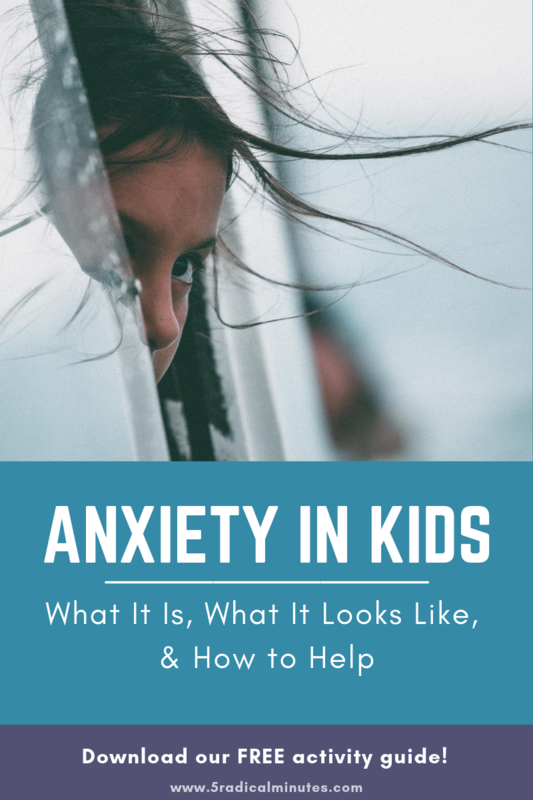 But overall, anxiety in kids is like a big, loud, uncontrollable alarm that keeps going off in their insides. As a result, anxious kids can become risk avoidant, which hinders them from participating in so many things many other kids get to enjoy. The alarms that go off in their heads can affect their bodies physically as well, resulting in lack of sleep, headaches, stomachaches, irritability, muscle tension, and fatigue. When anxieties progress past occasional episodes and a child seems to be showing symptoms on most days for weeks at a time, it may be time to consider intervention of some sort. Children as young as 7-9 months old begin to experience separation anxiety, as well as stranger anxiety. This is an absolutely normal and healthy development! While it’s difficult for us parents to walk away when our children are crying or clinging, we know that they will be okay once a few moments have passed and fun things distract their attention. As time passes, children learn that they are safe, mom or dad will return, and that in the meantime they can enjoy their time with others. When this fear continues on when children reach school age, it’s possible they have developed a separation anxiety disorder. This can make it difficult for them to learn, make friends, and expand their horizons. 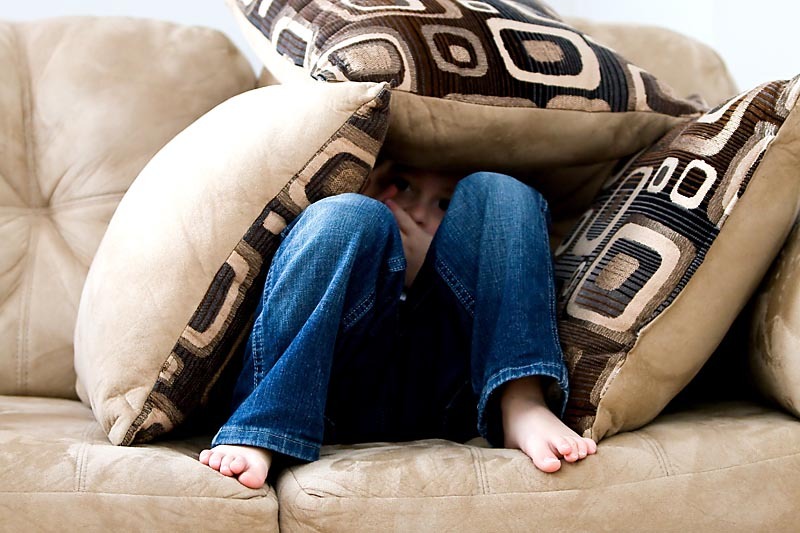 According the Child Mind Institute, “social anxiety is characterized by intense self-consciousness and fear of embarrassment that goes beyond common shyness, causing a child to go great lengths to avoid social interactions.” This anxiety in kids can show itself in two ways. The first is performance anxiety (also known as stage fright), which deals with things like presenting in public, test taking, ordering food in a restaurant, and sports ability. The second is interactional anxiety which not just about a fear of talking to others but also fear of being noticed by others in public, offending others, even eating in a cafeteria. As more and more kids are on social media and seeing the curated lives of their friends, it’s understandable that self-consciousness abounds. 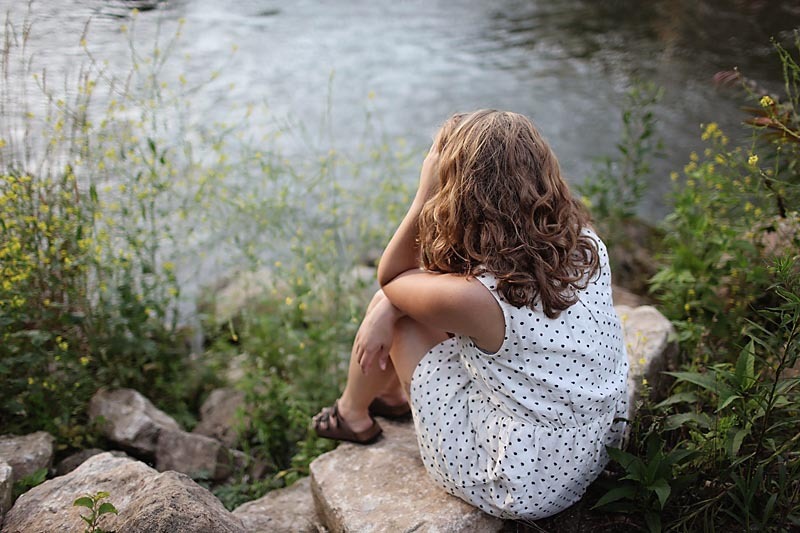 Social anxiety can appear at any age, but it’s most common around middle school, when children desire to make more and more of their own decisions but are fearful of making the wrong choices. (75% of social anxiety onset happens between 8 and 15 years old.) The root can be anything from childhood shyness to a traumatic experience like bullying. When left unaddressed and untreated, it can lead to isolation and depression. More than 3 million Americans will experience a panic disorder during their lifetime. Panic disorders can be terrifying for a child to walk through on their own. According to WebMD, a panic attack is “a sudden, intense episode of anxiety with no apparent outside cause.” Additionally, “When a child has had two or more of these episodes, and is preoccupied with worries about them happening again, it is considered a panic disorder.” The triggers for these panic attacks can be as varied at the child. When left unaddressed, panic disorder can lead to isolation and depression, and could lead to alcohol or drug use. 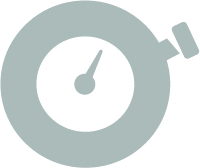 Obsessive Compulsive Disorder happens when fears and anxieties become obsessions and lead to uncontrollable thought processes and actions that help children to cope. Children do not enjoy these behaviors but pursue them out of compulsion. These can lead to rituals that help them feel they are more in control of their environment and thereby safer. This behavior is not a result of them (or you as parents) doing something wrong. It’s important to remember that many routines are healthy, such as getting ready for school in the morning or getting ready for bed at night. Things cross into unhealthy when they make life harder, not easier. If your child’s routines are interfering with daily life, invite them into a conversation. Post-Traumatic Stress Disorder (PTSD) is a mental health diagnosis. 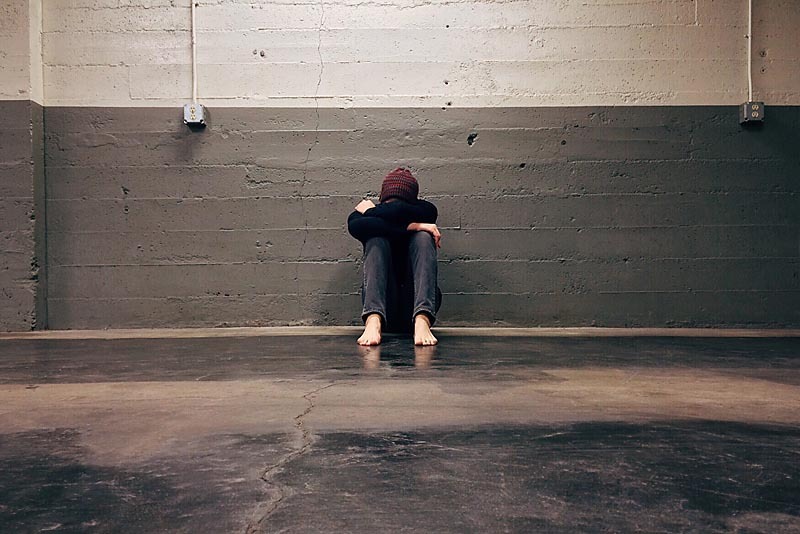 Acute PTSD can sometimes occur after a child experiences violence (or a threat of violence), injury, harm, or suddenly loses someone close to them. It can occur shortly after the event, or even years later. Often, people with PTSD experience “flashbacks” of the traumatic event, nightmares. Acute PTSD varies from Chronic PTSD because it typically has an identifiable root cause or event. Chronic PTSD is different in that a child begins to have distorted thoughts in order to survive a situation, such as living in abject poverty, homelessness, ongoing abuse, or living with a family member who has an addiction. Any of these can bring about distorted thinking, which in the moment can be a coping strategy, but when they transition into a healthy life circumstance these thinking errors can be so engrained that it takes a long time to recover. If any of these symptoms sound familiar, consider talking with your child about how he or she feels. Make a plan together to work through transitions. Slip notes of affirmation into the lunchbox of left on the pillow. Help your child reframe their anxious thoughts into positive ones. Remind your child of any changes coming in the normal routine. Compliment any and all progress. Talk to your school counselor or your pediatrician as a resource or referral source for support, counseling, or therapy.